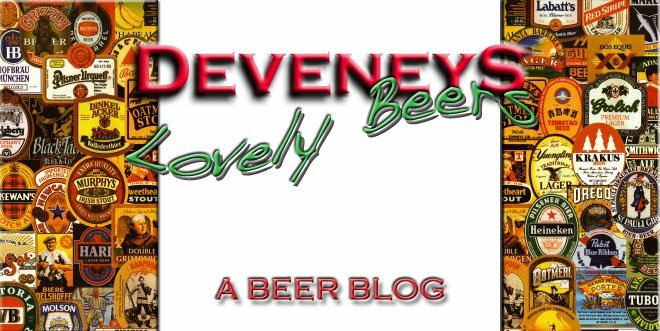 Deveneys of Dundrum: Anchor Steam Christmas Ale 2010. Anchor Steam Christmas Ale 2010. Anchor steam Christmas is a beer that requires tasting vintage on vintage regardless of your beer preference. I have both stocked and tasted this seasonal ale since 2007 and every year it differs. It's not my favourite beer but it's definitely one of the ones I look forward to tasting most. Anchor class this as an ale but it pours like a porter- dark brown with flecks of red and a thin white frothy head. The nose smells of currants and caramelised sugar - molasses some coffee and roasted malt. The palate is like a liquid sugar free Christmas pudding. Personally I like sugar in my dessert but for those that eat currants and raisins out of choice this is a beer for you. The flavours punch some clove dried fruits and some bitter high cacao content chocolate.There is also a hint of ginger with some cinnamon thrown in for good measure. The epitome of bottled Christmas. If you received one amongst your 12 ''Beer Box'' beers than you're a lucky recipient. My 5 case allocation lasted no more than 2 days. Consume now but will cellar well. Labels: Anchor Steam Christmas Ale 2010. Congratulations on your "Beer Box". My wife gave me one for Christmas and I loved it. Great variety and beers I'd never have tried if not for the Beer Box. Thanks a lot, I'll be on the phone for a refill next week!